Available in “The Roanoker” March/April 2019 and Virginia editions of “Blue Ridge Country” May/June 2019. Click cover image below to read digital edition. 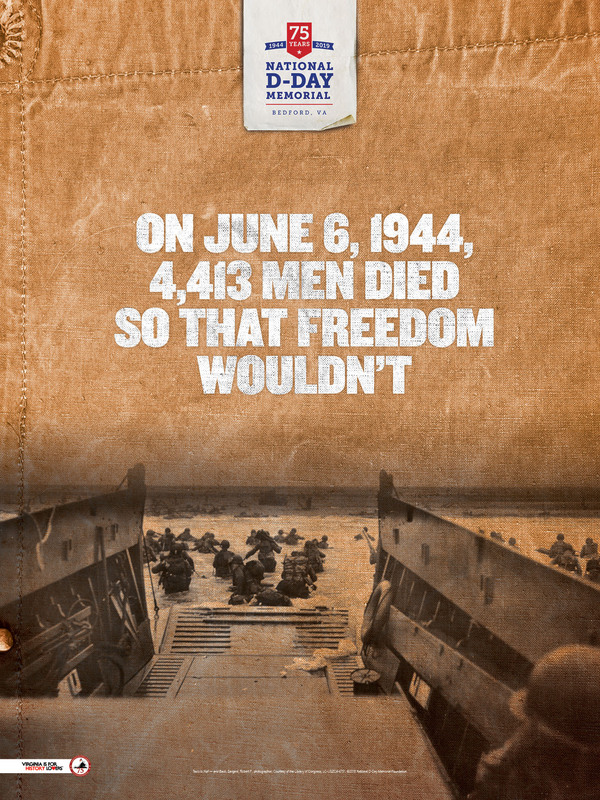 Events held at the National D-Day Memorial unless otherwise noted. Tuesday Mourning by Effulgent Productions – Gibson Memorial Auditorium, Bedford Science and Technology Center, 600 Edmund St, Bedford, VA – 7:30PM – Click here to purchase tickets. Tuesday Mourning by Effulgent Productions – Gibson Memorial Auditorium, Bedford Science and Technology Center, 600 Edmund St, Bedford, VA – 2PM and 7:30PM – Click here to purchase tickets. Tuesday Mourning by Effulgent Productions – Gibson Memorial Auditorium, Bedford Science and Technology Center, 600 Edmund St, Bedford, VA – 3PM – Click here to purchase tickets. Please allow push notifications to receive up-to-the-minute information on parking, weather, and other alerts. Regular text rates may apply. Click images below to save and print posters as our gift to you.  From Richmond, VA : 360 west to 460 west; follow signs to Lynchburg and Bedford; take 2nd Bedford exit; take a right off of the exit onto Burks Hill Road. Or: 64 west to 81 south; take exit 150 to Alternate 220; follow signs to 460 (Lynchburg and Bedford) and take a left onto 460 east; travel approximately 25 minutes and take the 122 exit; take a left off of the exit and proceed through the stoplight. NOTE: Public parking will not be allowed on-site at the Memorial June 6, 2019. Shuttles will be provided from the designated parking areas to the ceremony site. Area hotels are offering special room rates June 5-9, 2018. Please mention our event when making reservations. Click here for links to lodging by area. Registration links are listed below, if the link you are looking for is not yet active then please check back at a later date. Should I register in advance? Can I register on-site, day-of? 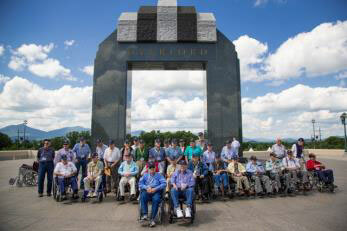 Yes, there will be on-site registration for veterans in the veterans’ reunion tent on June 6. However, you must register in advance for preferred parking. A detailed map of site activities, showing the veterans’ tent location, will be available on this website at a later date. If I’m pre-registered, should I check in that day? Yes, checking in helps us to get an accurate count of the heroes joining us for this once in a lifetime commemoration. It also allows us to finalize our Normandy veteran roll call list, so that we may avoid calling the names of those not in attendance. What is the “Roll Call”? Where can I meet up with other veterans? A veterans’ reunion tent will open on Memorial grounds at 7:00 a.m., to provide veterans a place to gather before and after the ceremony. Light refreshments will be served. Please check back for a map showing the reunion tent location. No, Memorial admission is free all day on June 6. 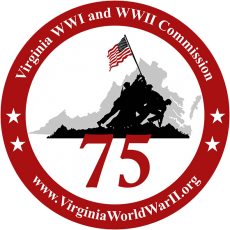 Visitors are encouraged to register with the Virginia WWII Commemoration Commission, so that you may receive regular updates regarding the event. Does registration guarantee a parking space or seat? 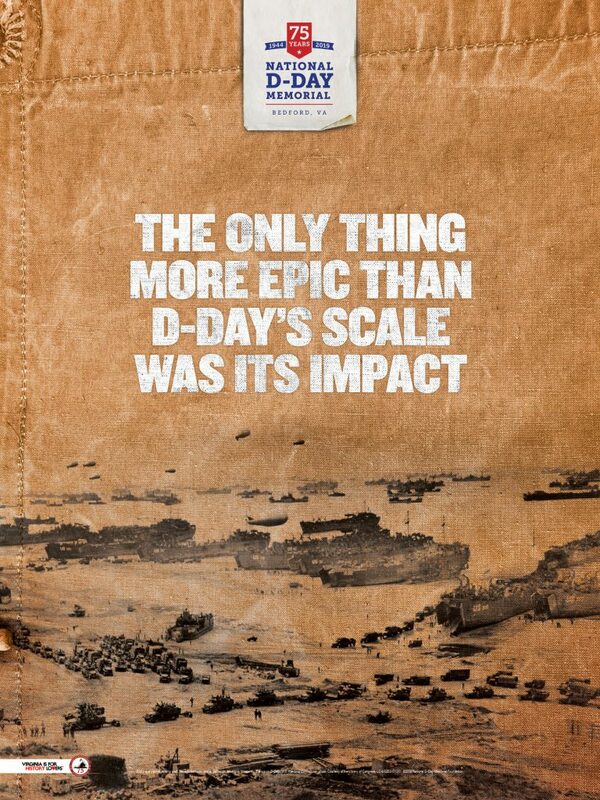 Only for D-Day and WWII veterans, not for the general public. Can I take a Memorial tour? There will be no tours available on June 6. Tours resume June 7, but regular admission fees will apply. The event will occur rain or shine. However, the aerial tribute may be limited or canceled in the event of inclement weather. No pets are allowed on Memorial grounds. Only official service animals are permitted. When do gates open and close for the ceremony? Shuttles will begin running from parking areas at 6:30 a.m. Vehicular traffic will cease on Overlord Circle, leading to the Memorial site, at 9:45 a.m.
What time does the aerial tribute start? When can I take a bus back to my car? Buses will begin running 15 minutes after the ceremony’s conclusion. No buses will run during the ceremony. What time is the roll call? What time does the Memorial close? The Memorial will remain open until 9:00 p.m. on June 6. Can I drive up to/park at the Memorial? No on-site parking or drop off for passenger vehicles will not be allowed. Satellite parking areas will be available with shuttles to and from the Memorial. Shuttle schedules and location maps will be posted on this website once details are finalized. What if I’m a D-Day or WWII veteran or am traveling with one? 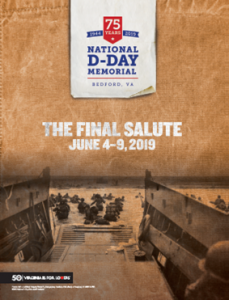 D-Day and WWII veterans are strongly encouraged to register with the Virginia WWII Commemoration Commission to guarantee preferred parking and seating. Registration link coming soon. Veterans will receive their parking information in advance, after registering. Is there disabled (handicap) parking? Special parking will be available to those with a government-issued placard or plate. A location map will be posted on this website at a later date. What if I’m arriving with a large group? Groups of 20 or more arriving by bus must register and will be assigned an arrival time window. This is to ensure a smooth flow of traffic around the Memorial circle. Registration link coming soon. Where do buses drop off/park? We will have designated bus drop off and parking areas. A location map will be posted on this website at a later date. Bus operators are invited to attend the ceremony with their group. A clear bag policy will be enforced on June 6, 2019. What bags are approved under the clear bag policy? Can I carry more than one bag? Each person is allowed one clear bag plus a small clutch. Can I carry a camera, binoculars, cell/smart phone, or tablet? Yes, so long as they are not inside bags that are not on the approved clear bag policy list. Cameras and binoculars can be worn around the neck with a strap. Can I leave prohibited items with someone at the gate? No. Please note the clear bag policy when parking and secure any prohibited items in your vehicle. Items will not be held/stored for visitors. Bags will be checked at parking locations. The Memorial is not responsible for lost or stolen items. Confiscated items will not be returned. Where can I get a clear bag that meets the policy? Clear bags will be available through the Memorial gift store, online and on-site. Please check back for the link to order. These bags comply with the clear bag policies of stadiums, so they can be used for other events. Your purchase supports the Memorial. Are there any exceptions to the clear bag policy? An exception can be made for medically necessary items after proper inspection. This is the only exception. Special parking will be available to those with a government-issued placard or plate. Please see parking information with maps. Yes, a seating map will be posted on this site once finalized. Will wheelchairs/motorized scooters be available on-site? No, individuals must provide their own mobility devices. Yes, our gift store will operate from two locations on-site June 6, selling 75th commemoration and other items. The on-site gift stores accept cash and credit/debit. Checks will only be accepted from local residents. Food vendors will be open and serving throughout the day. Cash and credit will be accepted. Guests may want to bring money for food and beverage and gift store purchases. The gift store accepts credit/debit and local checks. Restrooms are located on the main plaza. Portable restrooms will also be available. The main plaza restrooms are equipped with baby changing areas. Where can I stay in the area? Hotels are offering special rates for 75th commemoration visitors. Please mention our event when making reservations. Click here for a list of hotels by area. What other events are planned during the 75th anniversary? We’ve planned a full slate of 75th commemoration events. 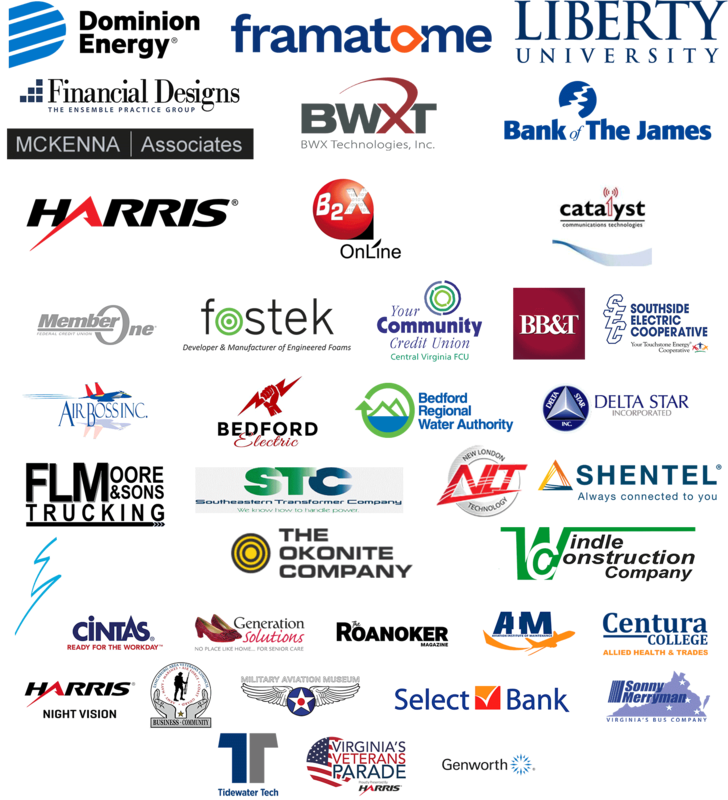 Click here to view them all and make your plans. 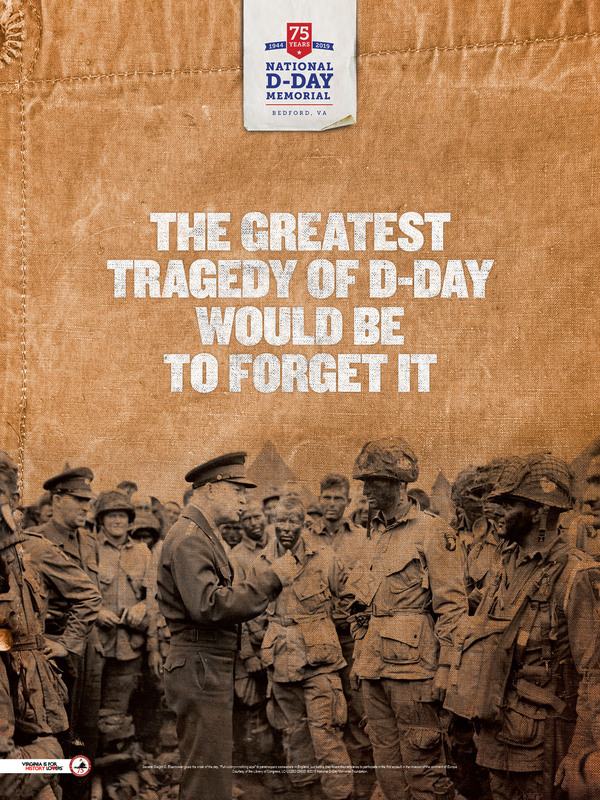 Do you have information on events in Normandy? Americans with questions about attending the June 6, 2019 ceremony at Normandy American Cemetery can email NormandyVisits@abmc.gov or contact your travel agent. National D-Day Memorial staff cannot assist in obtaining tickets or credentials for events in Normandy or with travel arrangements. Yes, we will regularly update www.dday.org/75. Does the Memorial have an app? Yes! 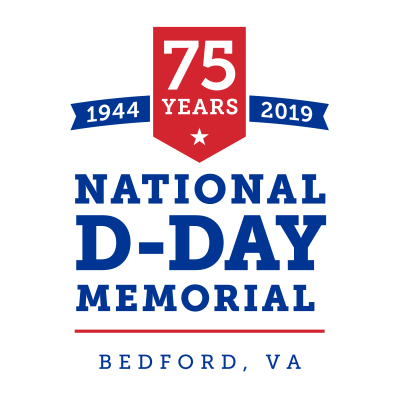 The National D-Day Memorial launched a brand new app in 2019 with information about the 75th commemoration, a site map, memorial wall name and brick finders, and much more to enhance your visit. Please click Apple or Android to download on your device. Please allow push notifications to receive parking, weather, and other alerts. Can you help me plan my trip to Normandy?